Nothing is a more boring chore than having to wash my makeup brushes. Luckily I can somewhat get away with waiting a few weeks between washes for my face brushes, but eyeshadow brushes are a different animal. After giving all my brushes a thorough cleaning, I made a pact with myself that I'd spot-clean my eyeshadow brushes on a daily basis. 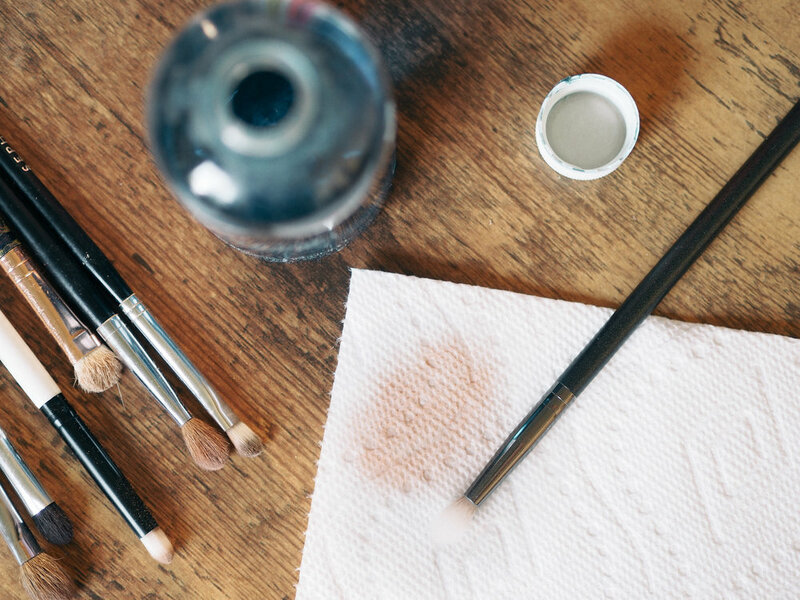 After all, who likes the surprise of using an already-used eyeshadow brush when you used it last for a dark brown? (That has definitely happened to me before.) I've had a bottle of Cinema Secrets Makeup Bush Cleaner for a while now but hadn't used it much until a few weeks ago. I placed a roll of paper towels by my vanity so I'd be more likely to use the brush cleaner day after day. Had I known I'd have squeaky clean brushes every day simply by keeping paper towels by my vanity, I'd have done this a year ago! To use the cleanser, I dip my brush in so half of the bristles are submerged. Then I wipe off the color on a paper towel. The formula is quick-drying so that it dries in less than a minute and leaves the brush shadow-free. I've left a few of my other favorite brush cleaners below! Let me know what YOU use to clean your brushes.